The 20ft Long 1" Water Suction Hose by Abbott Rubber has a Service Rating: Water suction and discharge hose designed for construction mining marine and irrigation purposes. Temperature range: 15F to 150F. Construction: Green flexible abrasion resistant PVC with a rigid PVC reinforcement for full vacuum. smooth bore. Also available in clear construction. 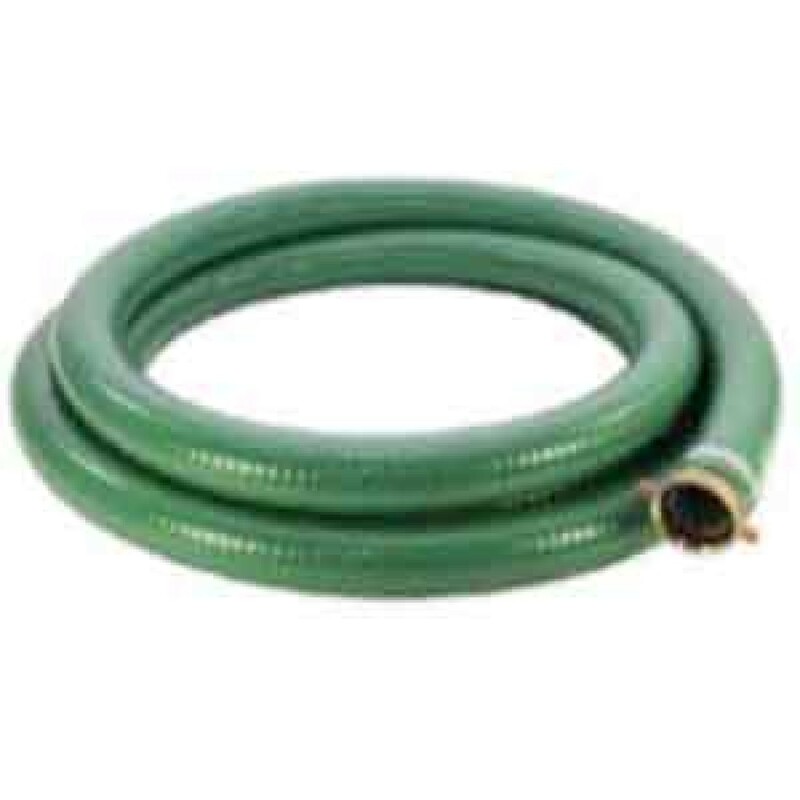 These Abbott Rubber 20" Long 1" Water Suction Hoses are actually 1-1/4" in diameter, included adapters make them compatible with most 1" port water pumps.